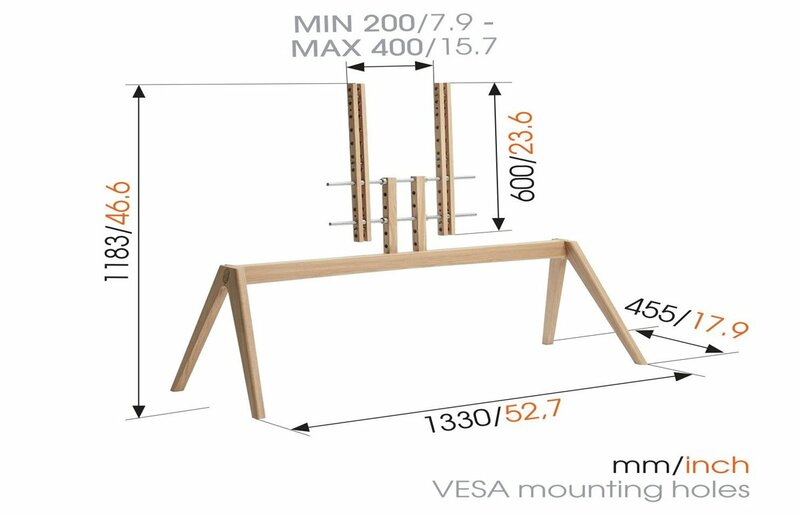 The NEXT OP2 is a modern, free-standing floor stand for your TV. 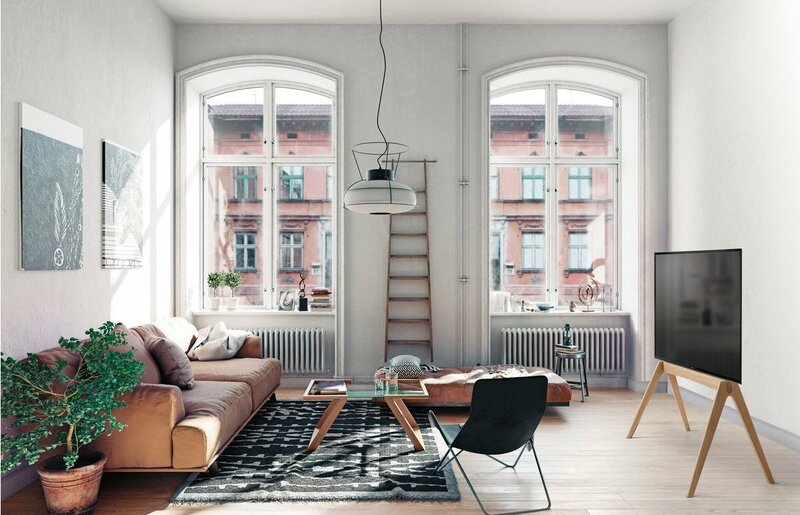 Scandinavian design characterized by functional simplicity. 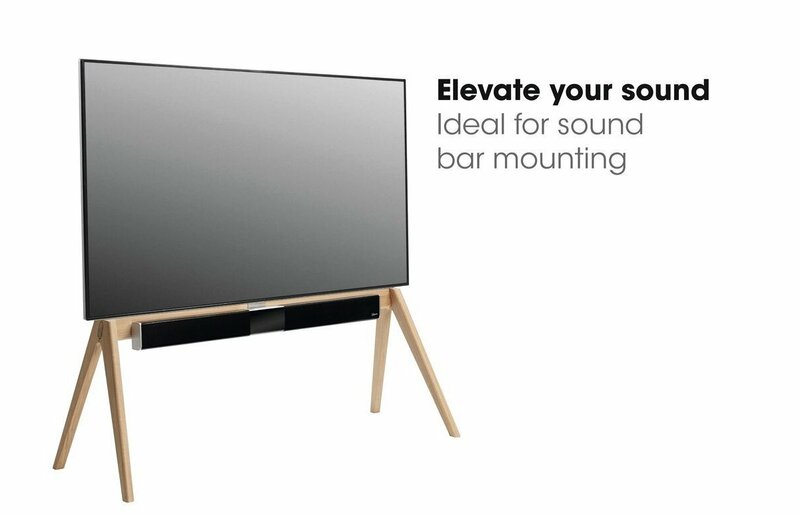 Without losing its beautiful appearance, a sound bar can easily be added to the NEXT OP2 using the additional NEXT OPSOUND accessory (sold separately). 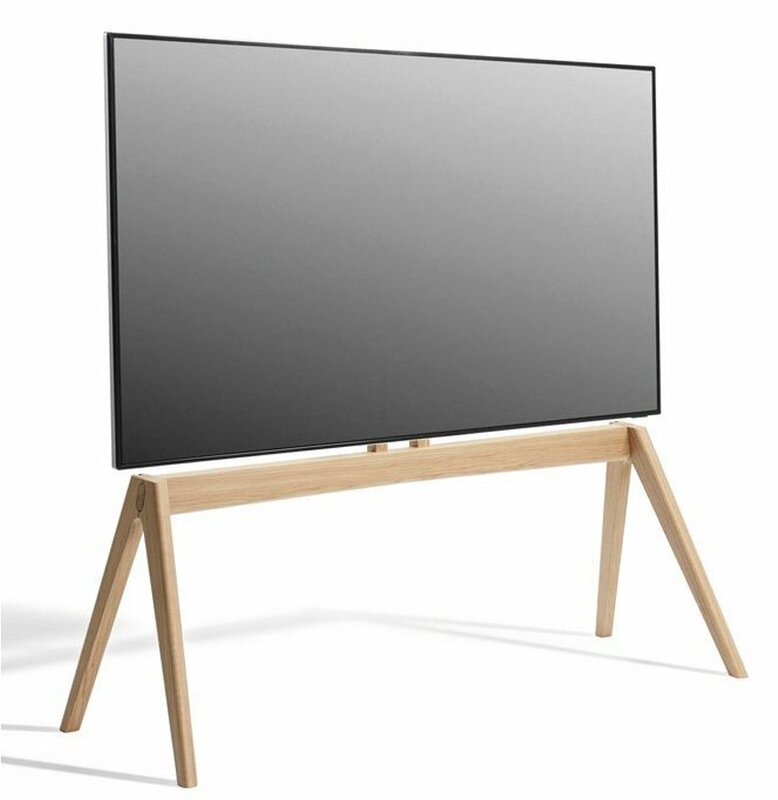 The NEXT OP2 is suitable for TVs ranging from 50" to 77" and up to 50 kg (110 lbs). 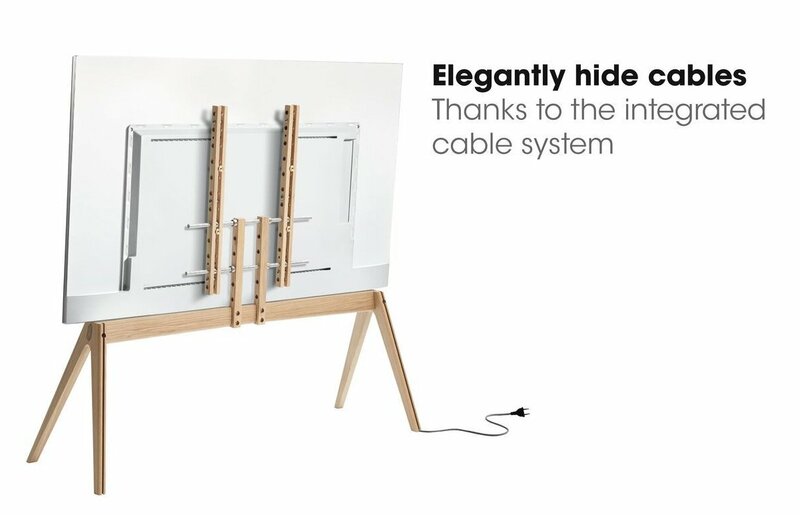 Even the power cables are unseen, being routed to the floor through a cleverly concealed channel in the back leg of the tripod. The NEXT OP Series from Vogel's is not only beautifully designed, but also complies with all of Vogel's product quality standards. It is strong and sturdy, because safety is paramount at Vogel's. 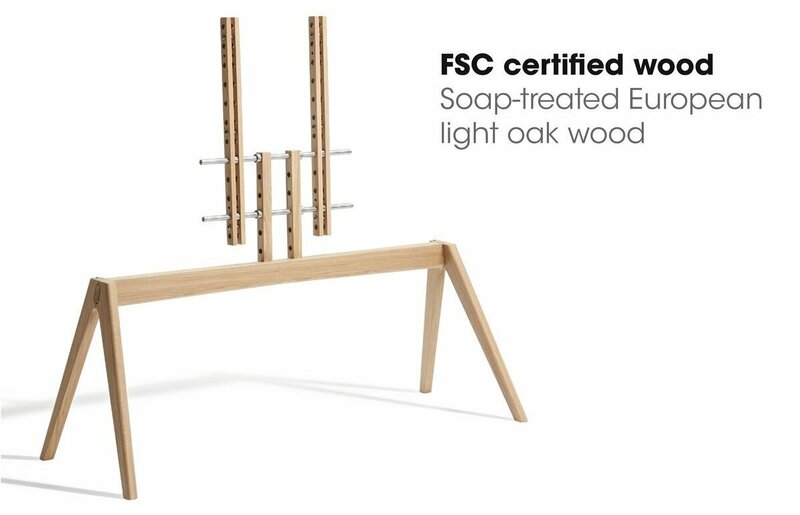 The wood is also selected with care and consideration for both people and the environment. As part of Vogel's 'Quality Signature', you can always count on reliability, design, innovation and ease of use.